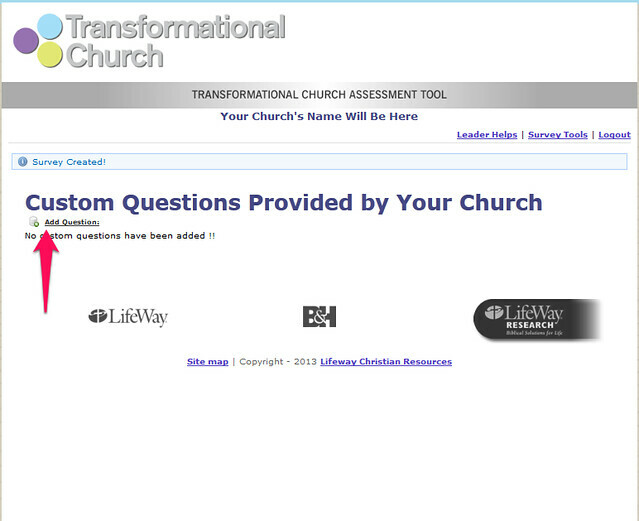 Here is a more detailed step-by-step guide to walk through creating the customized questions with screen captures. 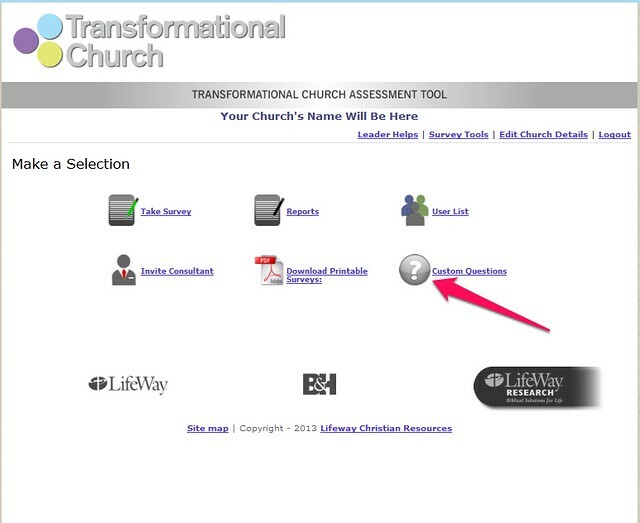 Once you are logged in, click the Custom Questions link. 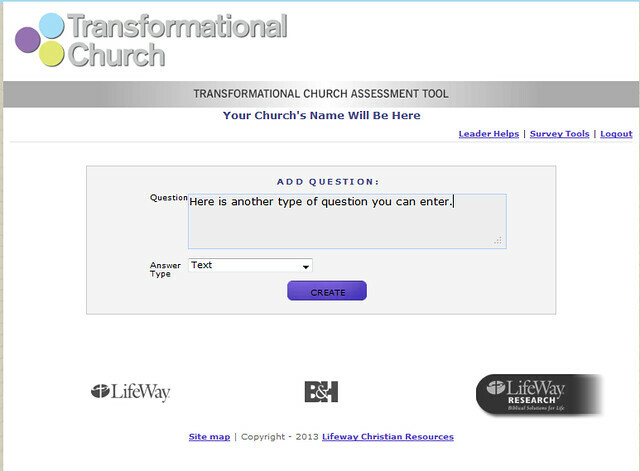 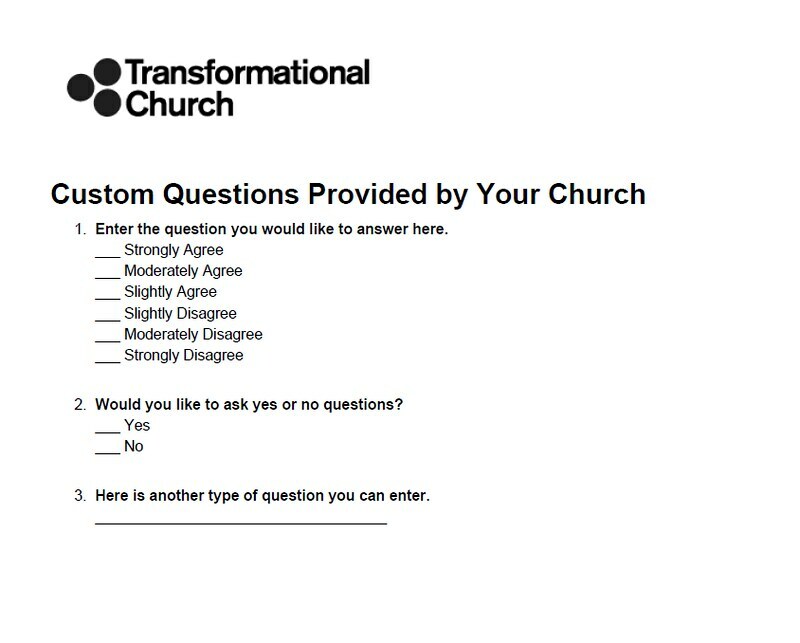 Your custom questions will appear at the end of the survey choices for your church members. 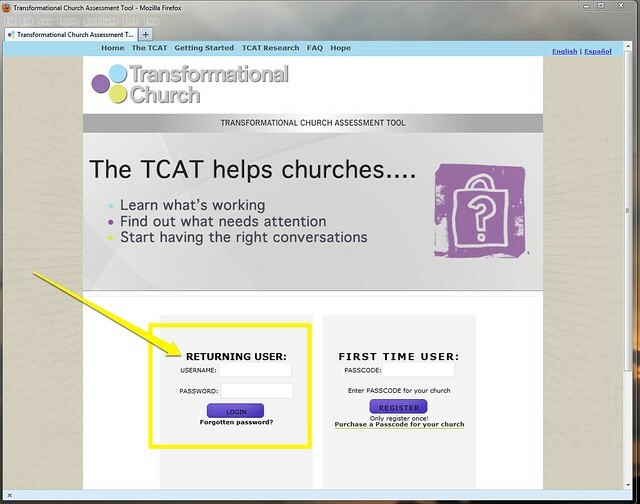 If you have someone completing the printed TCAT, you can download a copy of your custom questions to include with that.